We are proud to partner with a brand that is known for its high quality product and that controls the manufacturing process from start to finish to ensure said quality. Bellami extensions consist of the highest quality 100% Remy Human hair extensions available on the market with multiple bond options such as fusion (K-Tip), tape-ins, wefts (braidless weave), and micro-ring/beads (I-Tip). They are available in a wide variety of colours, including balayage blends, and all have a silky soft texture that requires little styling. Because the extensions are all authentic human hair, they can be cut, coloured, and styled using hot tools. TO BOOK, call 403-214-1855 and select your preferred salon location or click the button below. PLEASE NOTE: Bellami extension services are not available to be booked online, only extension consultations. New Bellami extensions bookings require a consultation; there is a $50 consultation fee which will be applied as a credit towards your service. If you are new to the world of extensions, there is a ton of language and information to know. Here’s a breakdown of some of the most common questions our guests have, and a glossary of terms so you and your stylist are speaking the same language! 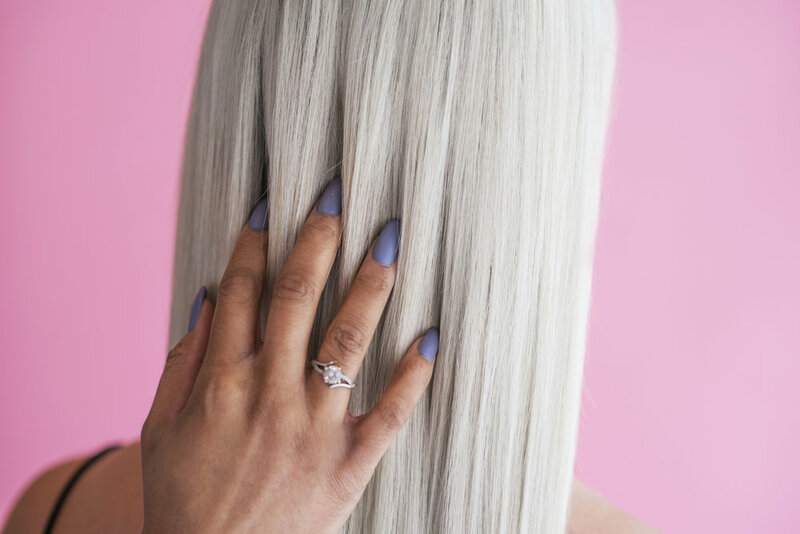 If you have a newly installed set of Bellami hair or are curious about the maintenance it takes to care for your extensions, click below to download our home care form.